Happy Monday! I know some Monday's I'm all like, "There is so much to be happy about today! New beginnings! Fresh start!!" Yeah. No. Not today. The house is a wreck from out Super Bowl gathering, I have piles of laundry to tackle. Oh, and after getting two feet of snow a week ago, we have another 6 inches coming tomorrow. My mood right now isn't super great! BUT! 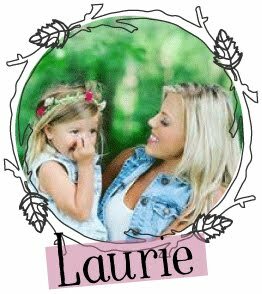 That's about to change because I'm sharing a pretty fun post with y'all today! (Or seems fun to me anyway!).. Something I literally get asked ALL THE TIME, is..
Where do you find furniture and things to paint? The answer is probably a little more simple then you'd think. 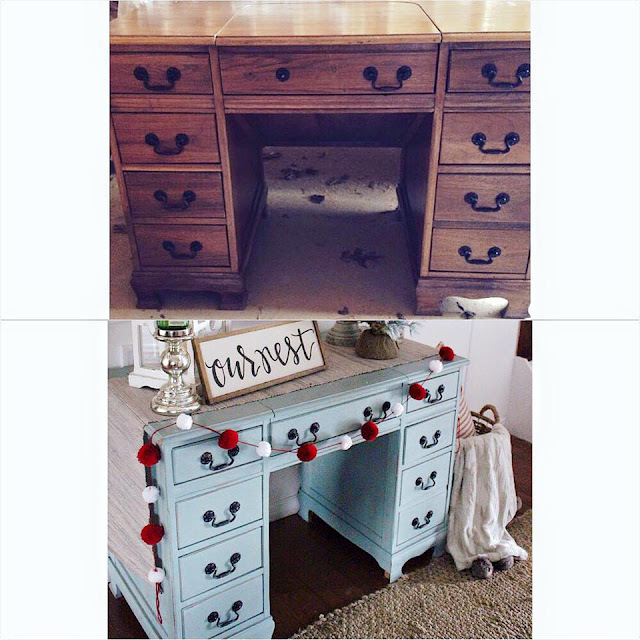 It's no secret that I've done my share of furniture refurbishments and new paint jobs, it's a hobby and something I really enjoy. Taking something that other people don't see the beauty in and bringing it back to life is one of my favorite things, there is so much reward in it. 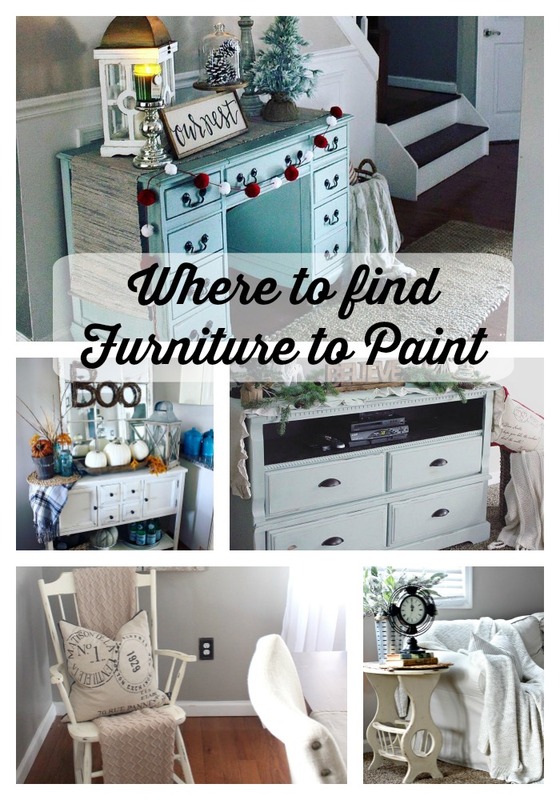 Sometimes, finding furniture to paint is a little harder then you'd want it to be, especially with it becoming more popular thanks to website like Pinterest. People know that most of them when they are selling something, someone is probably going to paint it to keep or sell. There are a few places I look when I want a new project, and I'm itching to get a paint brush in my hand. Here I'll list a few of those places, and hopefully you can find your very own project to paint in no time! I know not everyone is on Facebook, but I've really benefited in the furniture department thanks to local swap and sell sites. People normally want to get rid of whatever they are selling, and fast. So most of the time you are able to get a great deal. The only downside to this though, is people are catching on and either marking up their prices or some items are literally being sold as soon as they are listed. If you are lucky enough to catch an item before someone else though, then most likely you'll get a great deal! One of my absolute favorite pieces comes from a Swap & Sell Facebook site! The man selling needed to get rid of it asap because he was moving. I managed to get a dresser and this beautiful typewriter desk for $50! A steal in my eyes, and I was so excited with the outcome! Goodwill is getting expensive with their prices, but if you manage to find something you love, you'll still get a better deal then buying new, and even better, you'll have something you can customize and give character too. I found a vintage desk at goodwill that was pretty banged up, I bought it for $25 and ended up selling it. I've also been lucky and found a few lamps and accent pieces. 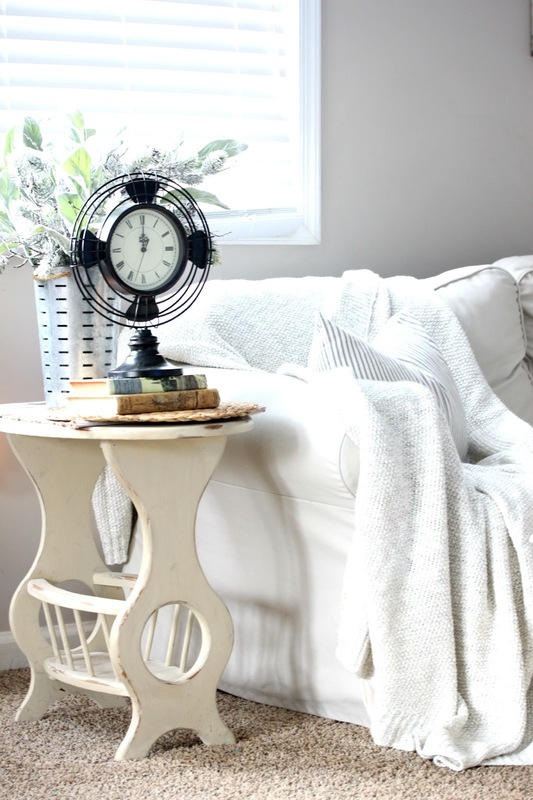 Goodwill is also a great place to find vintage milk glass, and silver serving pieces! Also, here we have a thrift store in my town that has really great refurbishment projects! 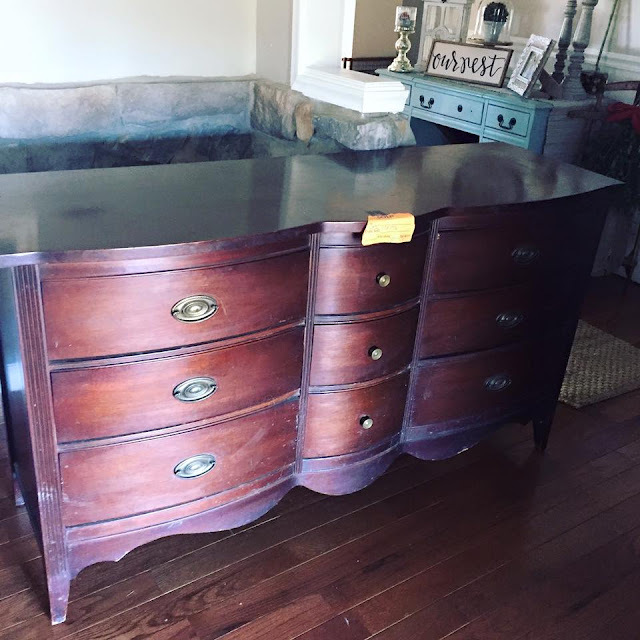 I was able to score this vintage dresser for $25! So check your local area for thrift stores that sell furniture. We have a few in our area, some more expensive then others. Lots of times, people you know and family members might have furniture just sitting around that they don't want anymore or they don't need. Ask around to family members, just throw out a facebook post asking if anyone has any furniture they don't want anymore that you could get out of their way, most people will be more then willing to get rid of that old dresser missing a drawer that's been sitting in their basement for 10 years. 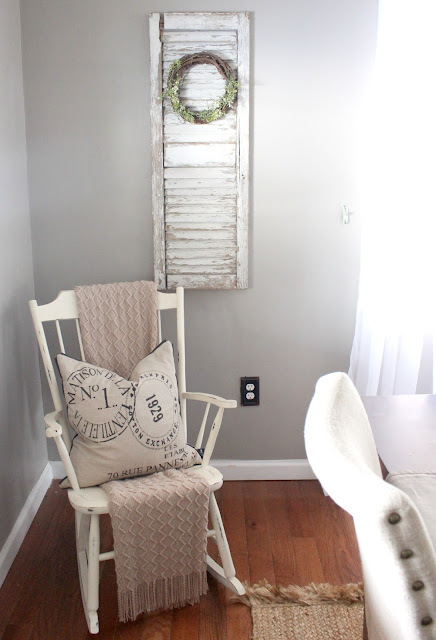 I told my Dad in random conversation one day that I wanted a rocking chair to redo, a few months later his mother in law asked him if he wanted a rocking chair she was getting rid of. Thankfully my Dad thought of me! This is truly one of my most favorite pieces I've had the pleasure of bringing back to life. It it so special to me because my Dad gave it to me. Obviously, you won't find the BEST deals at antique shops, as typically they sell antiques and they know the value of their items. But this is a great place to go if you want a specific piece and something truly vintage. Also, if you are looking for something in particular, it's a good idea to ask your local antique store if they have a wish list or waiting list, most shops do. Get on it if you want something special! It's how I found my chippy rustic aqua scale. I waited a few months, but it was worth it! Yard Sales are a great place to find furniture to paint, and also antiques and treasures in general. Most of the time people will get rid of something if you make an offer just so they don't have to worry about loading it back up or dealing with it later. If you think a price is too high for an item, ask them what the lowest is they will take. 6. LAST BUT NO LEAST- THE CURB. Don't make fun of me okay, I'm totally the girl you see backing up the truck and throwing stuff into my trunk when I see something on the side of the road, I just can't help myself! You'd be so surprised what people throw out! Especially when Spring comes around and people are wanting to simplify. I found these two end tables on the side of the road on my way to Target one day, I couldn't load them up fast enough! And I love them so much! 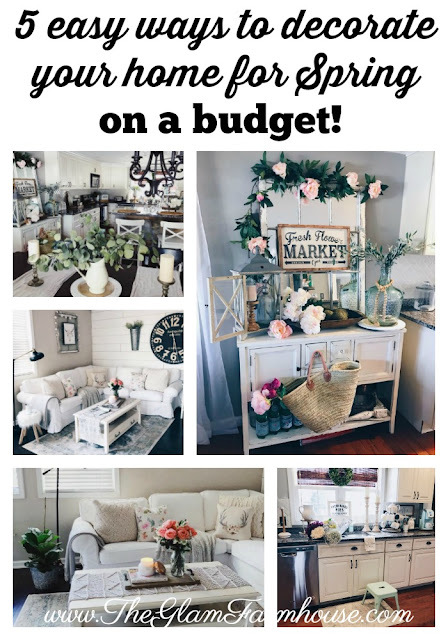 And if all else fails, visit websites like Wayfair that have cheap but high quality pieces of furniture, you can paint and/or customize something to what you want it to be. I couldn't find a white buffet for this space in my dining room so I eventually ended up purchasing one from Wayfair and just painting it. 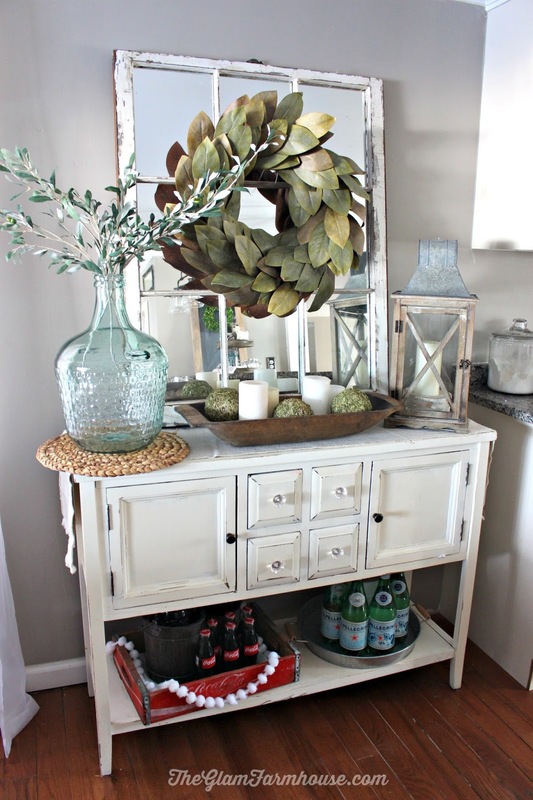 I'm still on the lookout for a vintage buffet, but for now, this one is great and just what I wanted! I hope this post helps ya'll find some new projects to start! Do you have somewhere you always go when you want a new project? I'd love to hear about it! Let's chat! Leave me a comment below or message me on Instagram. Ain't no shame in my dumpster diving game. Not literally but you get it. And a piece from family? Perfect! Love the history there.